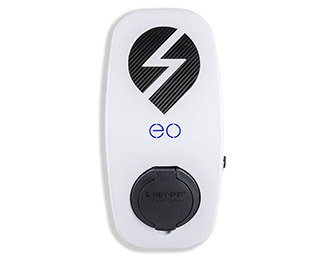 We use solutions provided by EO Charging to allow for electric car charging in your home or business. 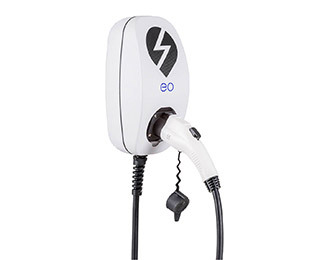 EO Charging products are designed and manufactured in the UK and include Electric Vehicle charging points designed for homes, workplaces and more. You could have a charger fitted in your home for your car, in your business for your workers, or for visitors to your premises. Vehicle charge points can be fit in any home or business, with a variety of stylish colours to choose from. The OLEV charger is designed for charging-up at home. With no software, just plug in and instantly get a charge. No nonsense. Just a simple plug and play charging solution. The smallest fast charger on the market; designed and built for charging-up at home. You'll also soon be able to personalise your charge point with a range of colours. 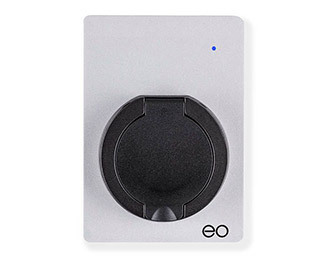 The EO Tethered Chargers are designed for charging-up at home. With no software, just plug the cable into your car and instantly get a charge. No nonsense. We can supply and fit your perfect electric vehicle charging solution. We will be your single point of contact from start to finish with expert advice throughout the installation process. EO chargers have been accredited by OLEV (Office for Low Emission Vehicles), meaning they are eligible for both the Home Charge Grant and the Workplace Charging Grant. The home grant amount currently stands at 75% of the value of the charger (including installation), up to £500. The work grant amount currently stands at £300 per socket.